Experience the true beauty of the Ozarks when you stay in one of the beautiful cabins in Branson, MO! With many different styles and sizes of cabins to choose from, you’re sure to find the perfect place to stay on your next visit – whether you’re celebrating an anniversary or honeymoon, traveling with family, getting together for a reunion, or looking for a romantic getaway! Tucked in the heart of the Ozark Mountains, Branson, Missouri offers one of the awe-inspiring and scenic places to stay in the United States – and offers some of the most incredible cabin rentals found anywhere! Surrounded by three lakes (Lake Taneycomo, Table Rock Lake, and Bull Shoals) – the natural setting and incredible things to do in Branson, make it one of the most beautiful (and fun) vacation spots in the country! Those who want to stay in a cabin near Table Rock Lake or Lake Taneycomo are in luck! 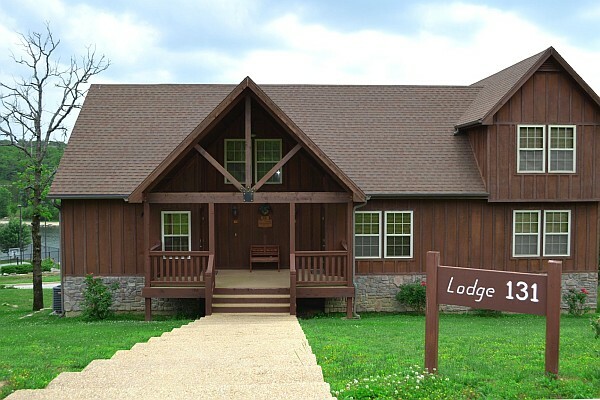 Sitting in the heart of the Ozark Mountains, the cabins at Stonebridge Resort offer unmatched access and convenience to the Branson area’s two most popular lakes! 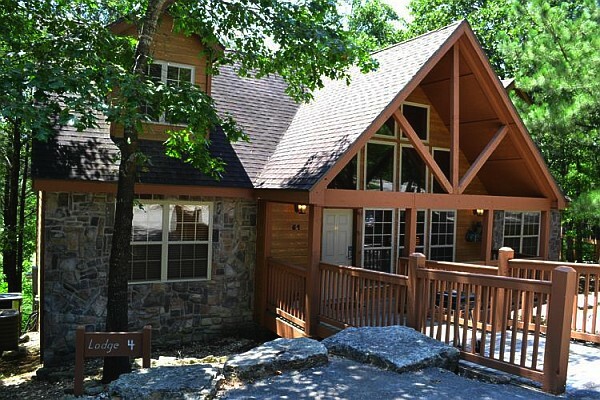 Stonebridge offers 1-4 bedroom cabin rentals in Branson that are just minutes from the area’s two most popular lakes! Situated just north of the famous Silver Dollar City theme park on Indian Point and sitting along the western edge of Branson – access to either lake is just a few minutes’ drive from these luxury vacation rentals. While not lakefront to Table Rock or Taneycomo (they actually are located near Stonebridge’s own lake), these log cabins are the ultimate rustic getaways that offer both incredible location and value – quietly secluded among the Ozark Mountains and forests. With units that range in size from one to four bedrooms, they are able to comfortably accommodate nearly any type of group traveling together! Those celebrating a honeymoon, anniversary, or looking for a romantic getaway will find that Branson’s one bedroom cabins are the perfect choice for your next stay! From the fully-equipped kitchens to the jetted hot tubs found in several of the cabins, there’s no better way to stay! 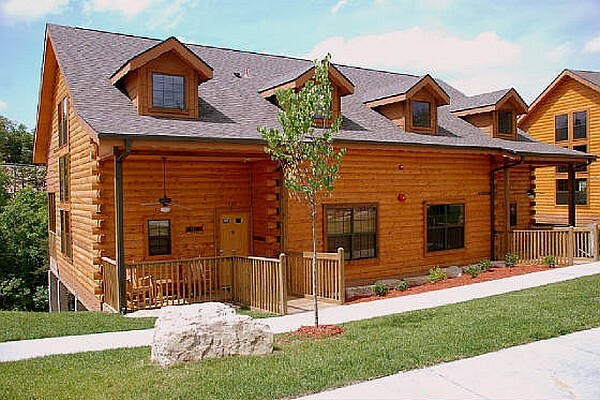 Stonebridge and The Cabins at Grand Mountain both offer beautiful, one-bedroom cabins available for rent in Branson. While the one bedroom rentals are a popular choice for couples, families traveling together can appreciate the spacious and open layout and comfortable sleeping arrangements. Most are able to accommodate up to 4 guests (with the pull-out sleeper sofas in the living room) – making them a great choice for value, location, and making memories. Thousands Hills’ Cabins at Grand Mountain offer beautiful single-room cabins that sit just off Highway 76, while Stonebridge’s one-room cabins are sure to impress even the most seasoned travelers. No matter the occasion, there are several one-bedroom cabins in Branson worth checking out on your next visit! The most popular size of cabins rented in Branson, the area’s two-bedroom cabins offer open and spacious layouts that offer both privacy for everyone and common areas for spending time together. Comfortably sleeping up to 6 people, the two-bedroom cabins at Grand Mountain and Stonebridge are some of the most popular cabin rentals in Branson. 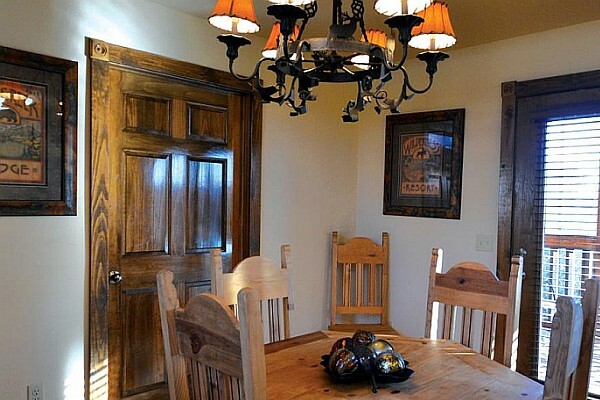 Able to typically accommodate up to six guests comfortably, these rustic properties offer all of the features and amenities of home – yet set in the heart of the Ozark’s beautiful mountains! Both Stonebridge’s and Grand Mountain’s two-bedroom cabin rentals come with two bedrooms, a fully-equipped kitchen, dining area/room, and a living room with a pull-out sleeper sofa. Those looking for even a little more space will find that the loft units offered at the Grand Mountain cabins provide the perfect balance of space and sleeping arrangements. Stay near the shows, attractions, and things to do at the Cabins at Grand Mountain – or near the area’s famous theme park and lakes at Stonebridge’s beautiful units. Some of the largest vacation rentals in Branson are the four-bedroom cabins found at both Grand Mountain and Stonebridge. With four bedrooms and open floor plans, Stonebridge’s vacation cabin rentals offer an amazing way to stay (save) on your next trip! These amazing vacation cabins offer spacious and open floor plans that are perfect for accommodating larger groups! Sleeping up to 10 guests (via the 4 bedrooms and living room sleeper sofa), they offer unmatched convenience for families and groups traveling together. 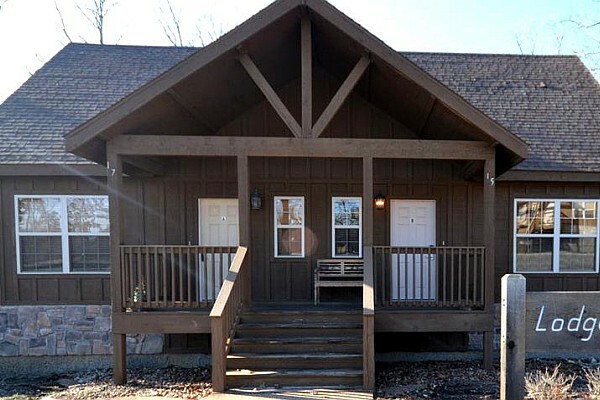 Popular for family reunions, larger families, or those traveling with more than six people – these cabins are a great way to save, experience the beauty of the Ozarks, and create memories you and your travelers won’t ever forget! If you’re traveling with your pet, then you’re in luck as there are plenty of pet-friendly cabins in Branson to choose from! Stonebridge’s 1, 2, and 4 bedroom cabins are pet-friendly (both cats and dogs) – with only a small, one-time pet fee charged during your stay. With cabins that welcome both cats and dogs, Stonebridge is able to accommodate the needs of both you and your traveling companions. Multiple sizes are available (1-4 bedroom), with a small one-time fee if you are traveling with pets. For tickets to any of these 60’s shows, questions, reservations, or information – call us toll-free: 1 (800) 504-0115.